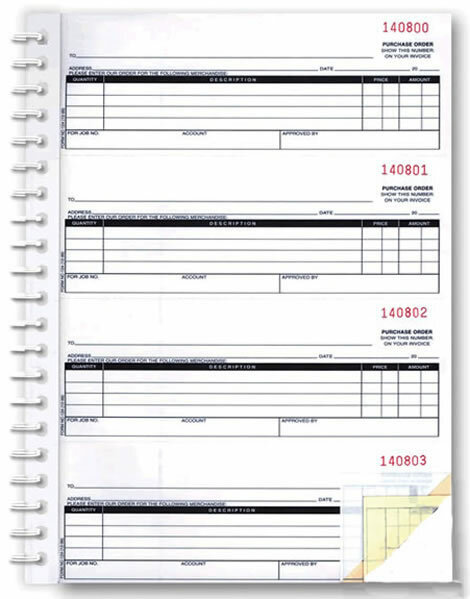 These NCR (no carbon required) Purchase Order Books are coil-bound with 200 sets per book. Available in either 2-part or 3-part. 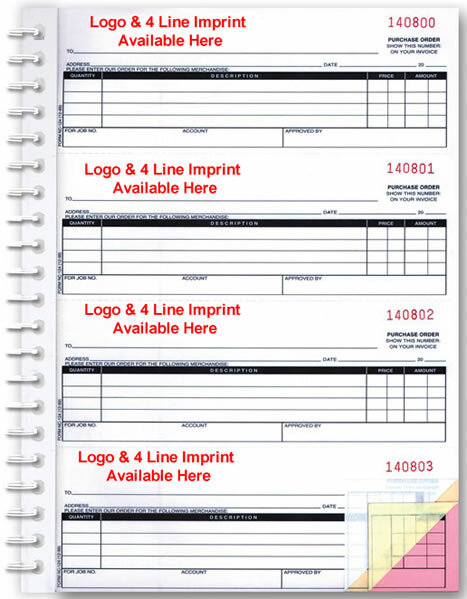 The metal coil-binding allows our Purchase Order Books to always lay flat regardless of what page you are writing on from the first page to the last page. They are manufactured with an extra heavy cover and back and a wrap-around cover to prevent write through. 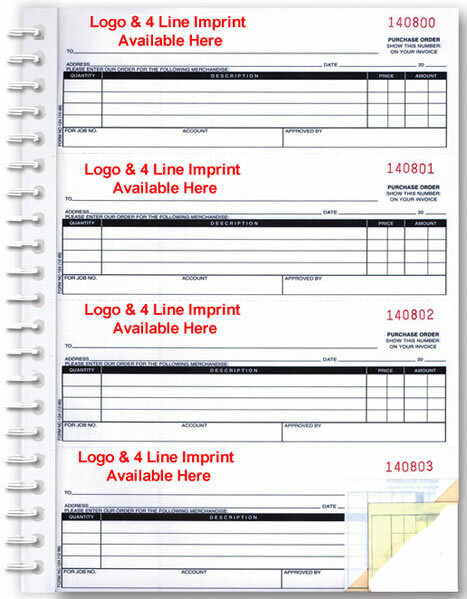 Our purchase order book is a convenient size of 8 1/2” x 11” with each individual purchase order measuring 2 3/4” high by 7 1/8” wide. Part one and two are fully perforated to tear from the book with part three not perforated so it will provide a permanent reference record. Paper colors and weights are as follows: Part one is White 15 lb., Part two is Canary 14 lb., and Part three is Pink 15 lb. All copies are black image clean carbonless paper. 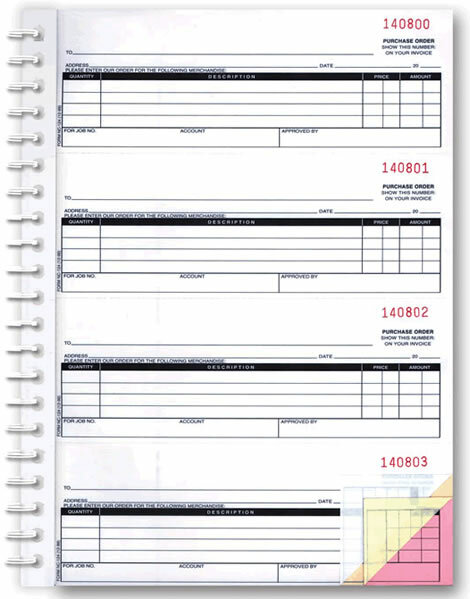 These purchase order books are available without personalization from our in-stock supply with pre-numbering (meaning - no choice of starting number), or fully imprinted in red ink with your company information and choice of consecutive numbering (meaning - with your choice of starting number). For imprinted orders, please allow 7 to 10 working days after proof approval for production and 2 to 4 days in shipping time. A PDF proof will be emailed for your approval before production begins. COMPARE OUR PRICE to Great American Automotive Products. THEY'RE MORE EXPENSIVE … American's Price is 12 Books @ $366.00 (BFA1513-3C) for 3-part imprinted. Product as advertised, easy checkout, fast shipping. Will use this company again and recommend to others.